HAS HOLD! Nemo Gorgeous Chocolate Buff Color Male CKC Malshi! AVAILABLE! 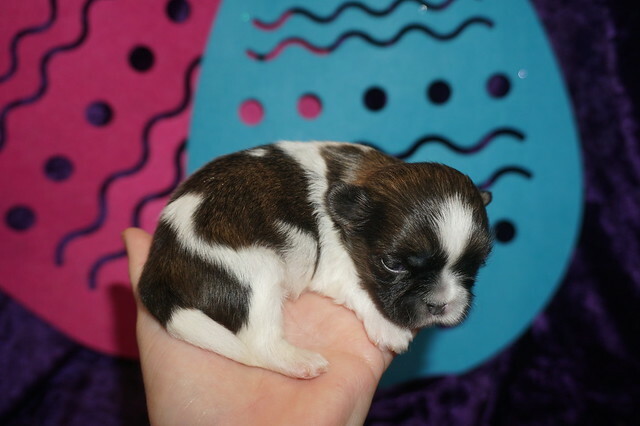 Squirt Gorgeous ChocolateTri Color Male CKC Malshi! How can you say no to this baby face? Squirt is just as silly as they come. He is always trying to catch your eye with his puppy tricks. He will surely be the talk of your town, and he is just waiting for that perfect family to call his own. Squirt is the tiniest of his litter. Don’t let this baby boy pass you by. He will be that perfect, fun-loving addition that you have been looking for. Waiting on my new name and my new home is Ormond Beach, FL. HAS DEPOSIT! 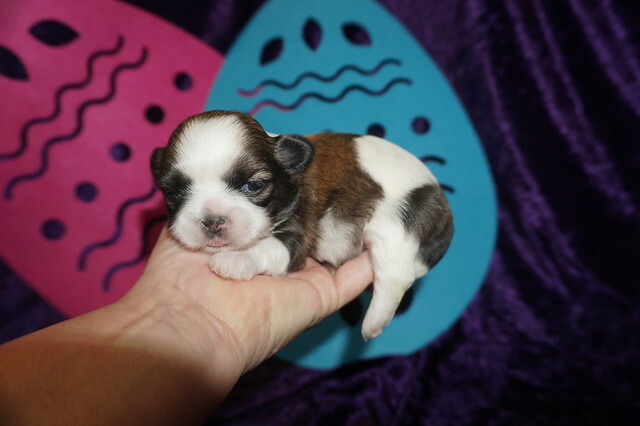 Darla Gorgeous Tri Color Female CKC Malshi! Looking for a loving pup to call your own? Then look no further, Darla is here! Darla is the sweetest pup around. Once you gaze into her eyes, you’ll be hooked for life. This cutie promises to bring so much love and fun into your life. Wouldn’t you love to have her? Darla sure hopes so because she knows you won’t regret it. Get ready for all the good times ahead! My new name is Leila and my new home is Orange Park, FL. AVAILABLE! 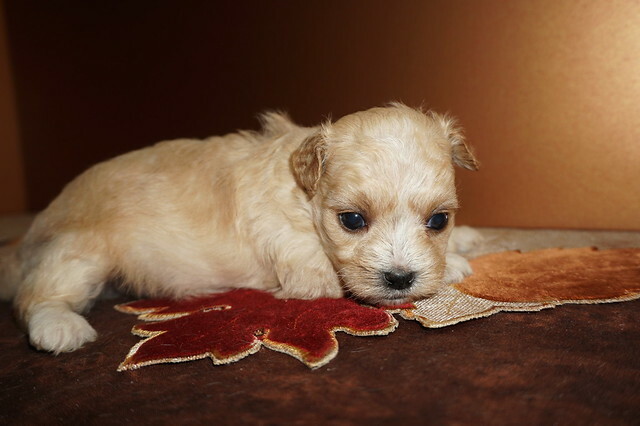 Peter Rabbit Male CKC Malshipoo Is Ready To Hop Into Your Life! Talk about handsome! This cutie has everything you could ask for: looks, personality and attitude! He loves to show off! He’s very spoiled and is treated like the little prince he is. When arriving to his new home, Peter Rabbit with come with a lifetime of puppy kisses. Imagine waking up to loving puppy kisses every morning! Hurry, this cutie has his bags packed and is ready to venture off to his new home! Waiting on my new name and my new home is . I’m one of two males in this litter of four and you couldn’t ask for a cuter one at that! My litter theme name is Easter theme I’m Peter Rabbit and I’m ready to hop right into your life being the perfect puppy ever! My mommy Sophia is a gorgeous 12 lb Malshipoo and my daddy is Milo a gorgeous 8 lb Poodle. Just look at my teddy bear face I’m a gorgeous red male with silky hair that will be gorgeous and wavy making me so adorable! Yes I have the cutest full tail. To get cash price using Paypal send as family friends but you must take out of your checking account or they charge you a fee. 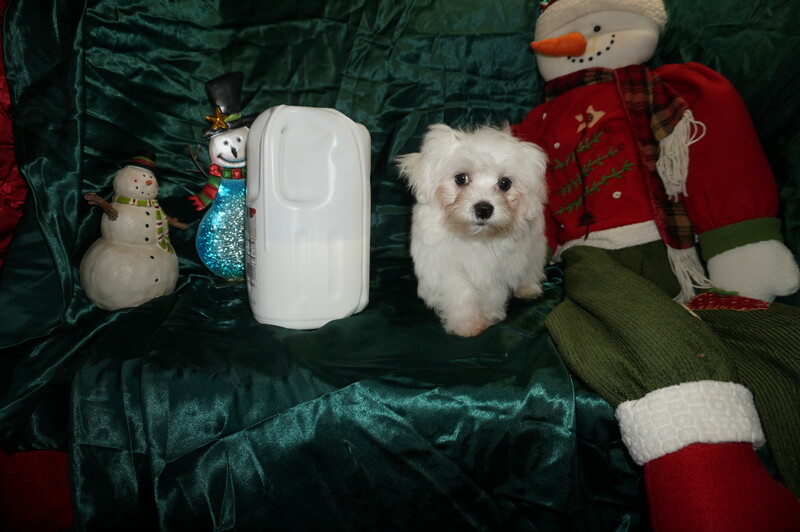 payments use email TLCPUPPYLOVE@GMAIL.COM then send me a text or email letting me know you paid paypal say I want Male Malshipoo puppy Peter Rabbit. HAS DEPOSIT! 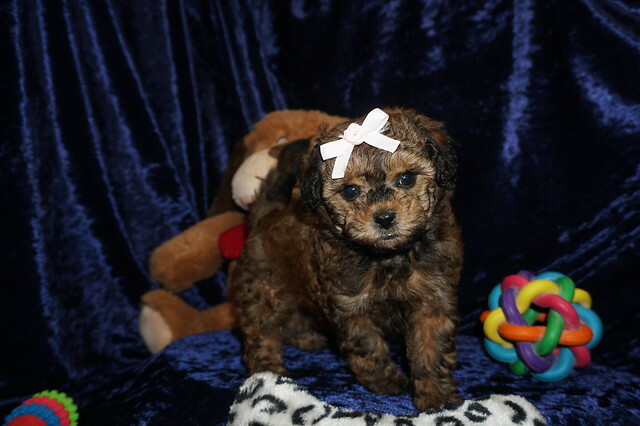 Candy Female CKC Malshipoo The Sweetest Baby Girl! Meet Candy! This baby is going to be the envy of the town! She is so well-mannered, beautiful, and cuddly. She has love me baby eyes and spectacular puppy kisses! She’s sure to make all your dreams come true! Candy is a sweet and playful girl who can’t wait to meet her new family. Once you see this cutie, it will be love at first sight. Just look at that precious face! Who could ever say no to her? Get ready for a mess of fun with this great girl at your side! Waiting on my new name and on my new home is Palm Coast, FL. I’m one of two females in this litter of four and you couldn’t ask for a cuter one at that! My litter theme name is Easter theme I’m Candy after all Candy is wanted by everyone at Easter! My mommy Sophia is a gorgeous 12 lb Malshipoo and my daddy is Milo a gorgeous 8 lb Poodle. 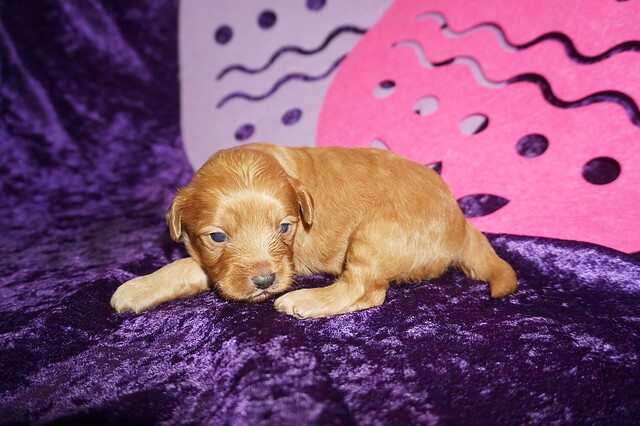 Just look at my baby doll I’m a gorgeous red female with silky curly hair that make me so adorable! Just look at my baby doll face and yes I have the cutest full tail. To get cash price using Paypal send as family friends but you must take out of your checking account or they charge you a fee. 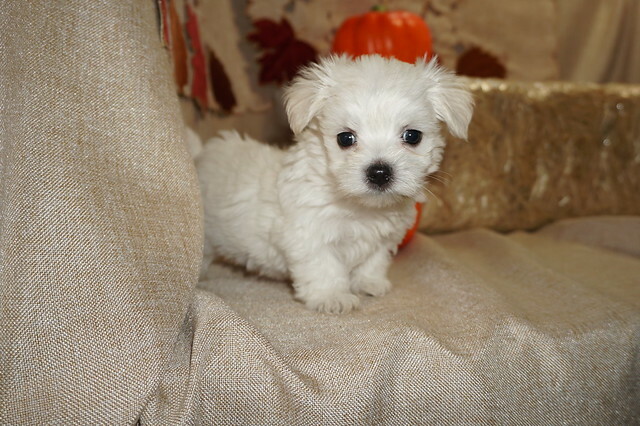 payments use email TLCPUPPYLOVE@GMAIL.COM then send me a text or email letting me know you paid paypal say I want Female Malshipoo puppy Candy. Your search has ended. Meet Jelly Bean! He is the true definition of man’s best friend. Jelly Bean loves to play and is ready at any moment to play with you or his toys. He will come home to you with A LIFETIME OF PUPPY KISSES! Jelly Bean has a very loving disposition and is looking for the perfect family to share that with. Could it be your family? He sure hopes so! I’m one of two males in this litter of four and you couldn’t ask for a cuter one at that! My litter theme name is Easter theme I’m Jelly Bean after all who doesn’t have Jelly beans in their easter basket? My mommy Sophia is a gorgeous 12 lb Malshipoo and my daddy is Milo a gorgeous 8 lb Poodle. 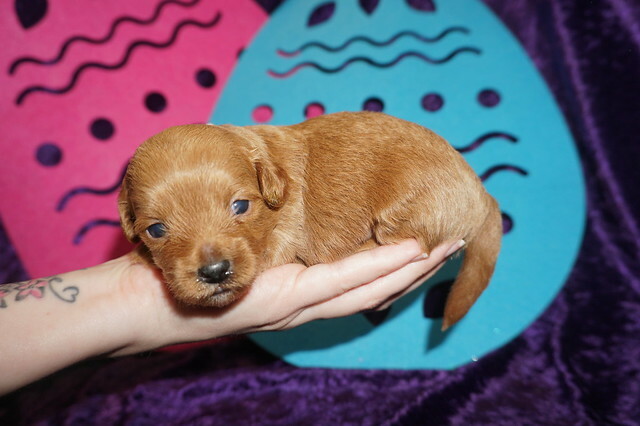 Just look at my baby doll I’m a gorgeous Light red apricot male with silky hair that will be gorgeous and wavy and don’t forget my white spot on the back of my neck making me so adorable! Just look at my teddy bear face and yes I have the cutest full tail. To get cash price using Paypal send as family friends but you must take out of your checking account or they charge you a fee. 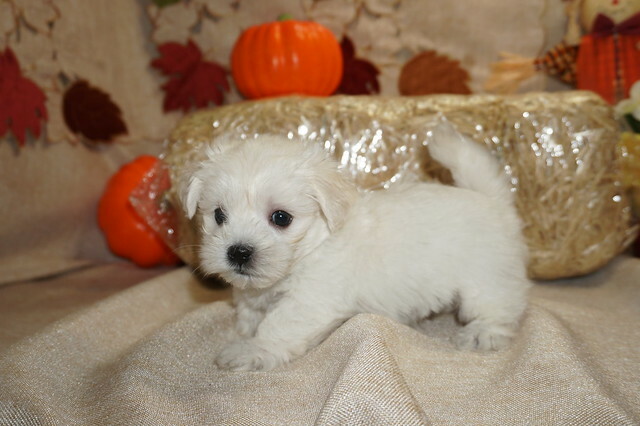 payments use email TLCPUPPYLOVE@GMAIL.COM then send me a text or email letting me know you paid paypal say I want Male Malshipoo puppy Jelly Bean. HAS DEPOSIT! Bunny Love Female CKC Malshipoo A Slice of Heaven! Hi! My name is Bunny Love and I’m just a ball of furry love! I’ve been told that I’m going to be a heart breaker for sure! I have an amazing way about me that no one can resist with so much love to give! I’ve been waiting for that very special family to come and take me to be their one and only! Could this be you? I would love cuddling up next to you. I might even make my way under those warm covers or just to lay by your feet on these cold winter nights. Whatever it takes to be next to you I’m up for it. I’m a cuddle bug at heart and will definately put a smile on your face with all my cute little ways! Hope to see you real soon. My new name is Bunny Love and my new home is . I’m one of two females in this litter of four and you couldn’t ask for a cuter one at that! My litter theme name is Easter theme since I was the first one picked and my new family named me Bunny Love immediately! My mommy Sophia is a gorgeous 12 lb Malshipoo and my daddy is Milo a gorgeous 8 lb Poodle. 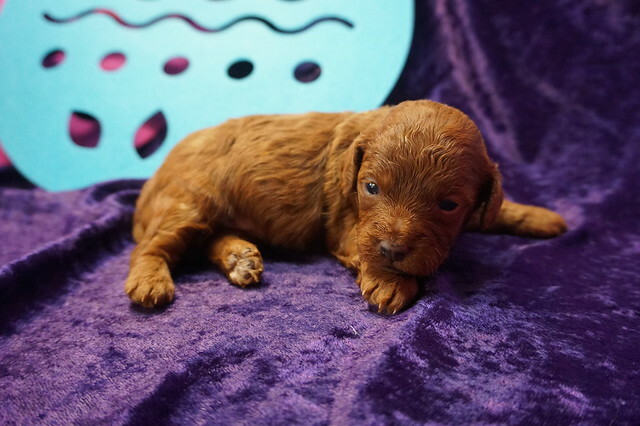 Just look at my baby doll I’m a gorgeous chocolate red female with silky hair that will be gorgeous and wavy making me so adorable! Just look at my baby doll face and yes I have the cutest full tail. To get cash price using Paypal send as family friends but you must take out of your checking account or they charge you a fee. payments use email TLCPUPPYLOVE@GMAIL.COM then send me a text or email letting me know you paid paypal say I want Female Malshipoo puppy Bunny Love. HAS DEPOSIT! 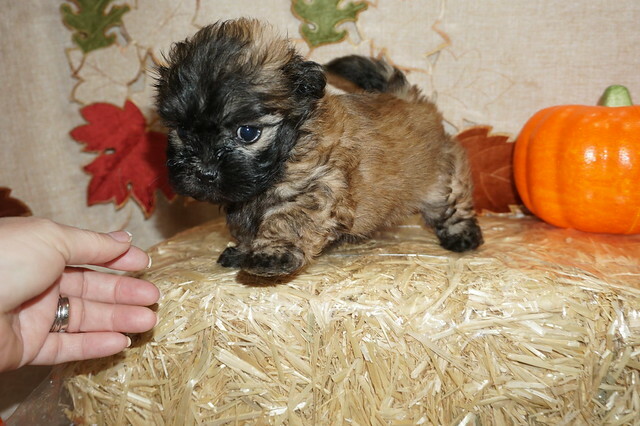 Carmel Delight Chocolate Merle Female CKC Malshipoo With Curls! Carmel Delight is a sweetheart, she loves to cuddle and carry around with you, or just enjoy play time! She’s such a smart, gorgeous and down right adorable baby! She’s ready for her new adventure, with her new family! She will definitely be a good girl for you! He also wants someone who isn’t afraid to play on a bright, sunny day. This little gal is a gorgeous merl color making her the talk of your town! Carmel Delight can’t wait to shower you with puppy love, so hurry! Don’t miss out on the pup of a lifetime! My new name is Kona and my new home is North Port, FL. Carmel Delight one of three females in this litter of three and you couldn’t ask for a cuter one at that! My litter theme name is sweet coffee creamer as I make you feel as good and relaxed as your first cup of coffee for the day making you think you can conquer anything! My mommy Mag Mag is a first time Maltipoo mom that is a gorgeous red color and my daddy is a red orange Shihpoo making me a gorgeous chocolate female Malshipoo I’m 50% poodle 25 % Maltese and 25% Shih Tzu just a lovable cuddle bug! Just look at my gorgeous curls giving me that adorable baby doll face I am a chocolate merle color and I have a cute dark chocolate nose and will probably keep my hazel color eyes making me so adorable! Just look at baby doll face and yes I have my gorgeous full tail. Don’t take to long to decide I won’t last long! HAS DEPOSIT! 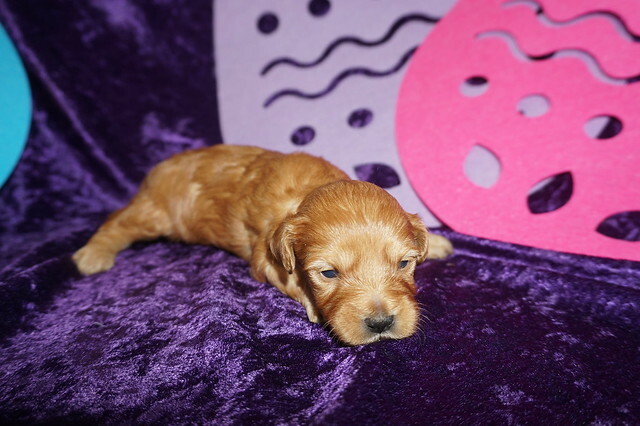 Pumpkin Spice Female CKC Malshipoo A Slice of Heaven! Waiting on my new name and my new home is Odessa, FL. I’m one of three females in this litter of three and you couldn’t ask for a cuter one at that! My litter theme name is sweet coffee creamer as I make you feel as good and relaxed as your first cup of coffee for the day making you think you can conquer anything! 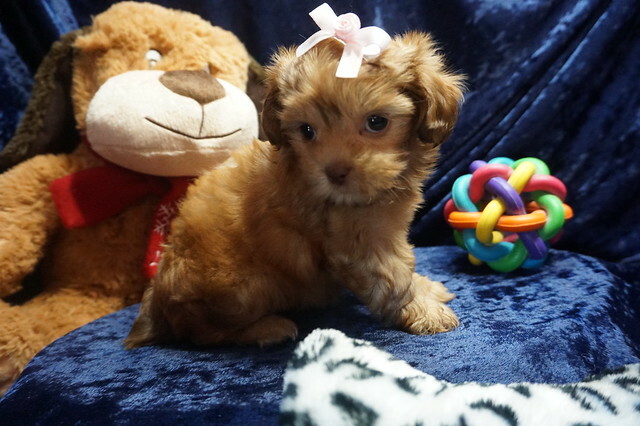 My mommy Mag Mag is a first time Maltipoo mom that is a gorgeous red color and my daddy is a red orange Shihpoo making me a gorgeous red chocolate female Malshipoo I’m 50% poodle 25 % Maltese and 25% Shih Tzu just a lovable cuddle bug! Just look at my baby doll face and both back paws have a pinch of white I have a light chocolate nose and will probably keep my hazel color eyes making me so adorable! Just look at baby doll face and yes I have the cutest docked tail. Don’t take to long to decide I won’t last long! HAS DEPOSIT! 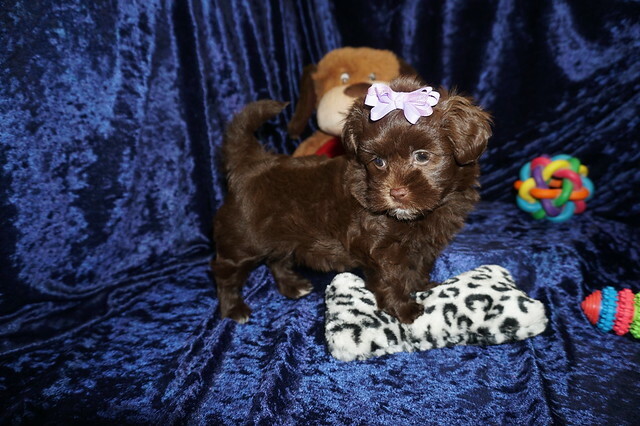 Reeses Dark Chocolate Female CKC Malshipoo! Waiting on my new name and my new home is Naples, FL. I’m one of three females in this litter of three and you couldn’t ask for a cuter one at that! My litter theme name is sweet coffee creamer as I make you feel as good and relaxed as your first cup of coffee for the day making you think you can conquer anything! My mommy Mag Mag is a first time Maltipoo mom that is a gorgeous red color and my daddy is a red orange Shihpoo making me a gorgeous chocolate female Malshipoo I’m 50% poodle 25 % Maltese and 25% Shih Tzu just a lovable cuddle bug! Just look at my baby doll face and both back paws and under my chin has a pinch of white I have a chocolate nose and will probably keep my hazel color eyes making me so adorable! Just look at baby doll face and yes I have my gorgeous full tail. Don’t take to long to decide I won’t last long! This is Bigsby, he is a handsome little boy, with lots of love to offer. Bigsby loves to play with his friends and spends many hours cuddling on the couch. He would love to come visit you and be your new best friend. Bigsby loves to run around and play with all his toys, dragging them around everywhere he goes. When arriving to his new home he will be sure to share puppy kisses with anyone wanting some. Hurry! Bigsby can’t wait to meet his new family! Bigsby is the one of two males in this litter of four and you couldn’t ask for a cuter one at that! This litter theme name starts with “b” since mom is Blondie. He is a gorgeous white color with the softest curls him so adorable. Just look at his teddy bear face and yes he has an adorable docked tail. Don’t take to long to decide he won’t last long! HAS DEPOSIT! 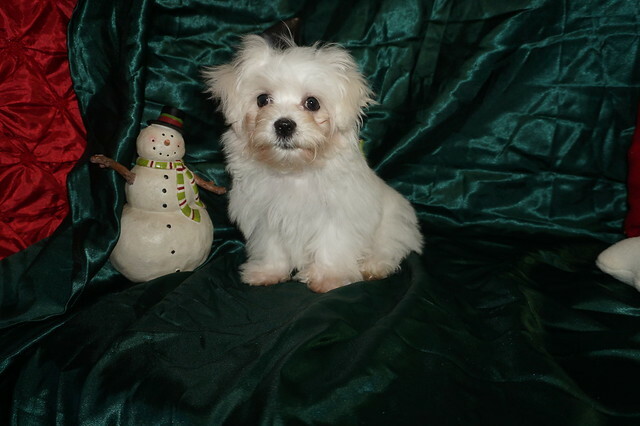 Binkie Beautiful Female CKC Malshipoo! We are pleased to introduce you to Binkie. This beautiful girl is on her way to becoming a wonderful dog. Sue is filled with energy and can play with the best of them. She is an explorer at heart and will investigate everything she happens upon. Her affectionate nature is contagious and soon you will find yourself rolling around on the ground with this puppy being covered in puppy kisses. Make Binkie yours baby girl today, so you can join her on her next adventure. Waiting on my new name and my new home is Defuniak Springs, FL. 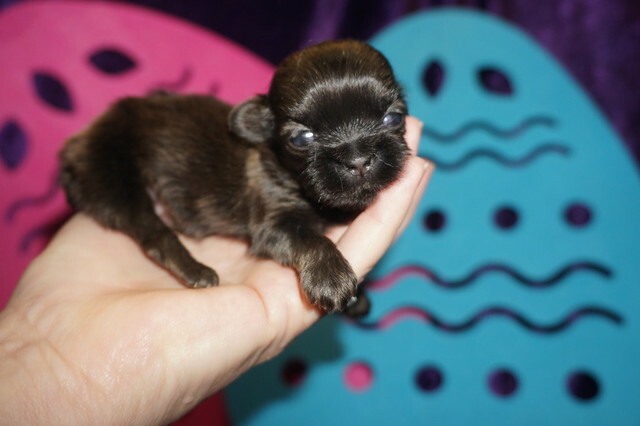 Binkie is the one of two females in this litter of four and you couldn’t ask for a cuter one at that! This litter theme name starts with “b” since mom is Blondie. She is a gorgeous black curly hair with a small white marking on her chin chest and paws making her so adorable. Just look at her teddy bear face and yes she has her beautiful tail. Don’t take to long to decide she won’t last long! SOLD! 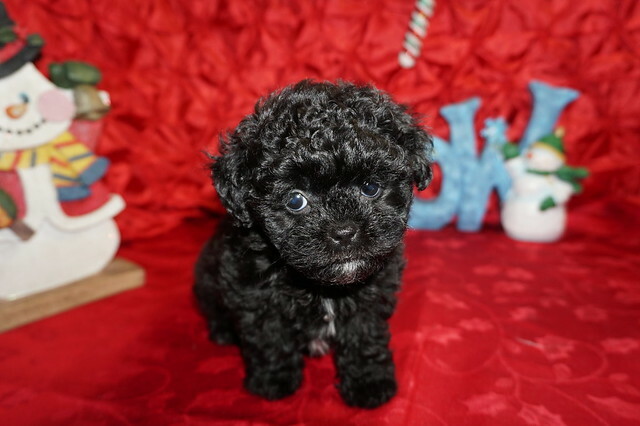 Baba Lou Cutest Male CKC Malshipoo He Is Ready To Steal Your Heart! Baba Lou is a handful of charm. He has an amazing big personality and loves to cuddle. This little guy comes lifetime of puppy kisses and cuddles You will wonder how you ever got along without her. You don’t want to miss out on this cutie pie so call today! Waiting on my new name and my new home is Nashville, TN. 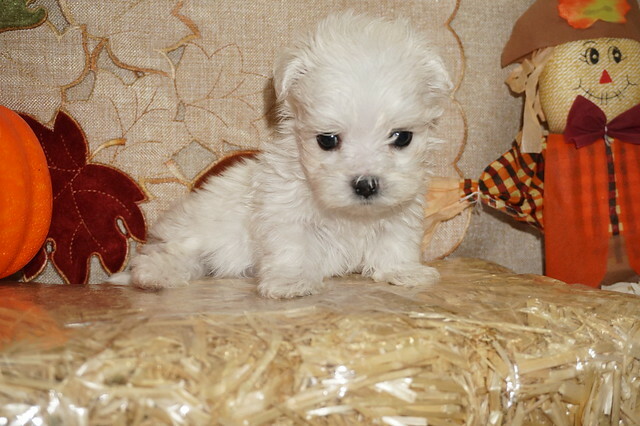 Baba Lou is the one of three males in this litter of four and you couldn’t ask for a cuter one at that! This litter theme name starts with “b” since mom is Blondie. He is a gorgeous apricot color with a white blaze between his eyes making him so adorable. Just look at his teddy bear face and yes he has his beautiful tail. Don’t take to long to decide he won’t last long! SOLD! Alaska The Smallest Male CKC Malshi In His Litter! Up till now I would not sale Alaska due to his small size and Inguinal hernia. He finally hit three lbs so the could do the surgery. Since he turned 4 months old I had him neutered too as well as received his rabies vaccine. So more vet vaccines till Dec 2019 So if you want a lovable small guy then maybe Alaska is the guy for you. Now not only do you save money from me discounting him from $2000 to $1500 but vet expenses from vaccines and surgery minimum of $500 depending on your doctor and time of taking him! SOLD! Artic The Sweetest Male CKC Malshi With Gorgeous Eyes! What a looker! This handsome baby boy is sure to win your heart with just one look. Not only is Artic sure to be the number one cutie in your neighborhood, but he is also charming, playful, and full of puppy kisses. He will do just about thing to get you to smile and is up for any fun activity that you can think of. Walks on the beach, hide-n-go-seek around the house, trips to dog park to show off how great his family, it all sounds like a good time to Artic. Don’t let this cuddle bug pass you by. You are his new fur-ever family, he just knows it! Introducing the star of the show, Mr Ace his self! His movie star looks are top notch. From his shiny, soft fur to his dream puppy eyes, this boy is unmatched. Your friends and family will be begging to be a part of your family. Not only is he quite the looker, but he already preparing a lifetime of puppy kisses and love for his new family. Don’t keep this star waiting. He is ready to walk down the red carpet and right into your home. SOLD! Aspen Gorgeous White Male CKC Malshi Says Pick Me! Meet Aspen, and oh what a striking boy he is! Just look at that gorgeous face! And Aspen is such a little lover lump. So much personality in one little body! He is a charmer to be sure. Aspen loves everyone and gets long well with others. Loves to play and when he hears your voice he is sure to be by your side. He will just love being with people and getting attention. . Aspen has a super soft silky coat and has the most beautiful teddy bear face. He pretty much draws attention everywhere he go because of his bubbly personality and that face. If a outgoing, bubbly, loving, one of a kind puppy is what your looking for to join your family, Aspen is the one for you. 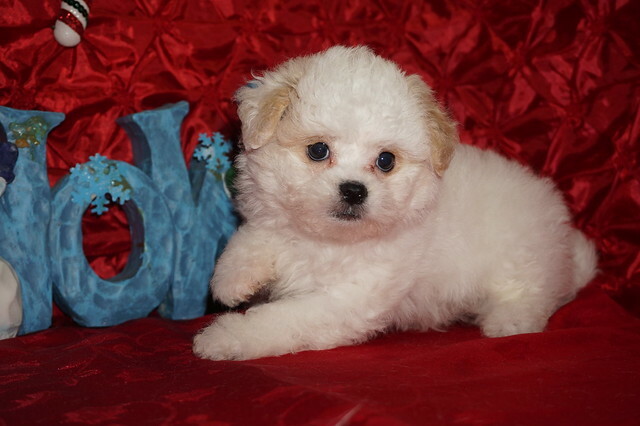 SOLD: Congratulations way family on your 2nd puppy from TLC Puppy Love! SOLD! Avalanche The Sweetest Male CKC Malshi Says I Have Puppy Kisses For You!